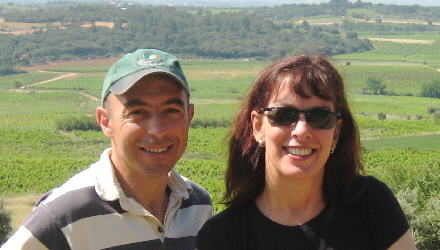 That's our founder, Terry August, with Winemaker Sylvain Fadat in his Languedoc Vineyard. 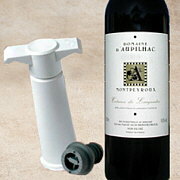 If you would like to substitute a non-alchoholic beverage in place of a wine, just call us. 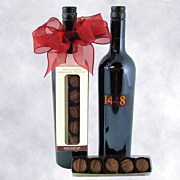 323.466.7654. 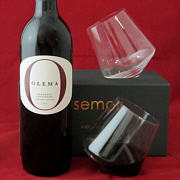 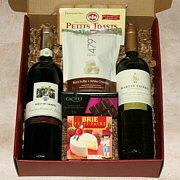 You may also like our Gourmet Gift Baskets. 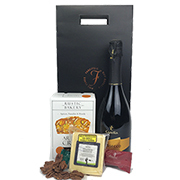 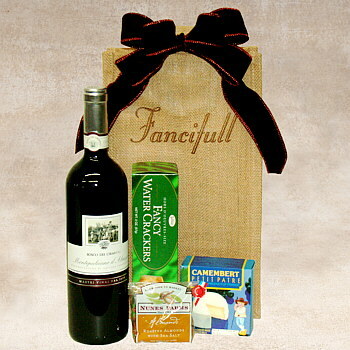 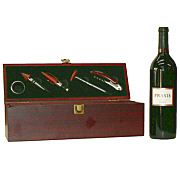 A fine wine with imported cheese, crackers and nuts bundled in a useful jute wine tote.